With the fall season approaching comes the enrollment of millions of college freshman spreading their wings as they enter a new and adventurous phase of life. Many opportunities await them as they enter this rite of passage into adulthood. However, flying solo can be stressful as well as exciting and helping them prepare for their financial stewardship will give them the best chance at achieving their goals in the next stage of their lives. Ideally your high school graduate already has some experience and success in navigating money matters long before entering his or her college dorm room. Perhaps they have had part time work through school or during the summer breaks and have learned the balance of earning, spending, and saving. Maybe before they even step foot into his or her Humanities 101 class, they have mastered the basics of personal finance and have a monthly budget plastered on their bathroom mirror as well as a good budgeting app on their phone. However, even if your college student is a personal finance guru, there is a good chance that he or she will still need help in creating a financial plan through their college years. 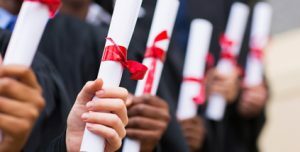 Without discipline the newly found freedom of eager college students can lead to financial frivolity and wreak havoc on their future economic goals and employment plans. It’s never too early to use a projected cost of college calculator to get an idea of the net cost of college when living on or off campus. Taking the time with your student to negotiate a simple budget can give them a strategy to begin their adult life with the discipline needed in an often financially turbulent college environment plagued with a crisis of student loans and high interest credit cards. Establishing a workable plan with your student can ensure their best chance of early financial success and a hope for an economically stable future. Begin with tallying all the expenses your student will incur at college. These expenses can be broken down into three categories: (1) Semester Expenses – includes tuition, fees, and books required and paid for at the beginning of each semester. (2) Fixed Expenses – expenses that are incurred each month without exception. (3) Variable Expenses – expenses that are varied and may not occur each month. These expenses may be fluid, but get started by writing a rough amount in each category. To have a real working budget, it will be important to keep receipts on every purchase and transaction to keep an accurate accounting of what is being spent (even if the purchases seem insignificant). This will allow for adjustments to the budget in the months to come. Next add together the money saved for college (if savings is more than a semester’s worth, then just figure what will be needed for the first semester). Then add to that figure any income that will be used to offset monthly expenses. The bulk of the money will go toward paying the items listed in the “Semester Expenses” category, hopefully with some help from scholarships and grants. The rest of the money will go toward paying for the items in the “Monthly Fixed” and “Variable Expenses” categories. If your student is short on money in these areas, consider some of the ways they can earn money while in college. Next decide on an organizational method of transferring funds from a savings to a checking to pay for their expenses. Since they will most likely want to keep the bulk of the money in a savings account, they will need to determine how to allocate the funds to pay for their outgoing costs. Because variable expenses can really be the weak spot in every budget (meaning, things can get quickly out of control with entertainment and take out) it is wise to use only cash to pay for these items. Using envelops to divvy out money in each of the categories can help keep the spending at bay and the budget secured. Most items in the Fixed Expenses category can be on automatic withdrawal to ensure timely payment. Just make sure your student is tracking each payment and recording it in their budget to make sure of accuracy. College life can be exciting and adventurous without being expensive (not counting tuition, of course). Creating a weekly menu plan and packing around snacks and a sack lunch for the time between classes are a few ways students can keep to their grocery budget and exercise self-discipline. Forgoing fast food for some Top Ramen or a pb&j sandwich, and choosing a picnic lunch and a hike over dinner and a movie, are the simple sacrifices students can make now to avoid future payments from excess and unnecessary debt in the future. Planning and keeping a budget takes some work, and so do the small sacrifices made at college. However, with proper planning and education your student can develop the financial wings they will need to fly. What are some ways you have helped your college student learn how to stay on a budget?